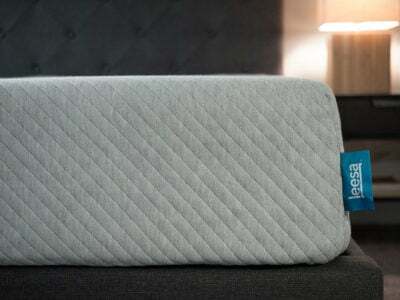 Home » Tempur-Flex Elite Review- Right For You? The Flex collection is fairly new and is starting to gain in popularity. 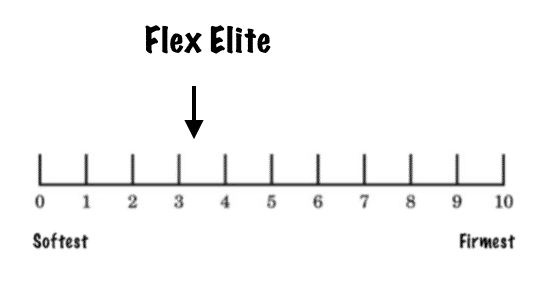 The Flex Elite is the most expensive and luxurious model within the Flex collection. I was excited to see how it compared to the other Flex models and the other collections. The Flex Elite has a thin and stretchy cover that you can unzip and wash very easily. The top layer of the mattress is a layer of TEMPUR-ES material. This is the same material that you would in a Cloud collection mattress (see our Cloud Elite review). It is meant to be extra soft and comfortable. Below this is a layer of TEMPUR-Response material. This type of material relieves pressure but it is also fast-responding. That means if you move around in the mattress, the foam returns to its original shape very quickly. That makes it different from the other Tempur materials. 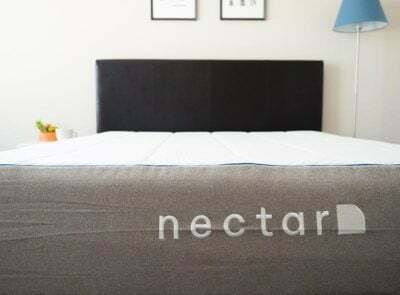 Instead of having polyfoam as the support layer, this mattress has a system of pocketed coils. It is a durable support system that will give a different feel from standard polyfoam. The mattress is 12.5 inches thick in total. The company doesn’t disclose the thickness of the individual layers, so it’s a little hard to make an exact comparison with the other Flex models. However, I do at least know for a fact that the company uses high-density, quality foams, so this mattress should be very durable. Find current pricing on Tempur-Pedic’s website. 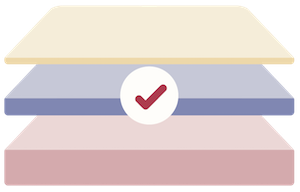 Tempur-Pedic provides the exact firmness of its mattresses on its websites. The Flex Elite is the third softest mattress in the entire Tempur-Pedic line and is the softest in the Flex collection (just ahead of the Flex Supreme). You Sleep On Your Side– This is one of the softest mattresses in the Tempur-Pedic line. For that reason, it is a good fit for people that sleep on their side. 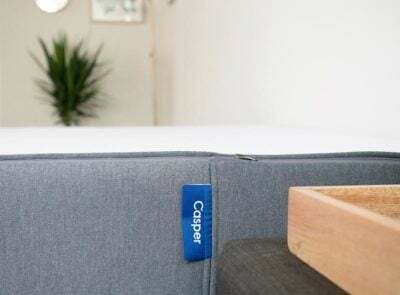 You Are Used To A More Traditional Mattress– The feel of this mattress would more resemble a traditional mattress than any of the Contour or Cloud collection mattresses. 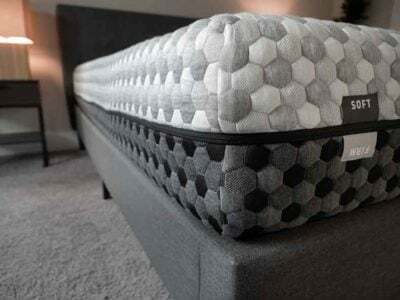 You Want Pressure Relief But Don’t Like Slowly Sinking In– This mattress gives you good pressure relief but doesn’t have the slow-moving memory foam feel that other Tempur-Pedic mattresses are known for. What is the best Tempur-Pedic mattress for your needs? 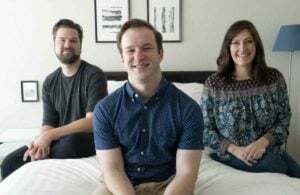 You Sleep Just On Your Back/Stomach– Because of how soft the mattress is, it’s probably not the best for people who sleep on their back/stomach, with the possible exception of very lightweight people. 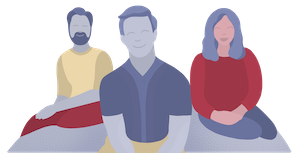 You Want A Full Memory Foam Feel– If you like slowly sinking into your mattress and having it envelop you, then you probably want to look at the Cloud collection models. That’s not the exact type of feel that you get here. You Have Budget Concerns– This is an expensive mattress. You can probably find something with a similar feel for less money if you look hard enough. Typically, I like to try to highlight the most common pieces of praise/complaints that I find from reading lots of reviews available online. In the case of the Tempur-Flex Elite, the mattress is too new to be able do this. There simply aren’t enough reviews out there just yet to provide any common pieces of praise/complaints. The Flex collection is an interesting concept that I think a lot of people will really like. It takes away some of the complaints that some people tend to have with Tempur-Pedic mattresses. I think the Flex Elite can be a good choice for certain people. Generally I question if it’s worth the extra money, but it’s all about finding the right softness for you. If you really want something a bit softer, then it could be worth the extra money.